BUENOS AIRES, Oct 18 2017 (IPS) - The Argentine biodiesel industry, which in the last 10 years has become one of the most powerful in the world, has an uncertain future, faced with protectionist measures in the United States and Europe and doubts in the international scenario about the environmental impact of these fuels based on agricultural products. In August, the U.S. government blocked in practice the import of Argentine biodiesel, which is made exclusively from soybeans, by imposing high import duties, arguing dumping, or unfair competition with local soybean producers. One month later, Argentina recovered, at least partially, from the economic effect of this measure, when the European Union (EU) complied with a World Trade Organisation (WTO) ruling and lowered – although they did not eliminate – the anti-dumping tariffs they had imposed on the product in 2013. “We are convinced that there is protectionism hidden behind false arguments. The decision by the Donald Trump administration not only affects consumers in the U.S., where fuel prices are already on the rise, but also delays the replacement of oil,” said Gustavo Idígoras, international relations consultant for the Argentine Chamber of Biofuels. The EU had heavily invested in biofuels until 2012, but began to reduce its use since 2015, when it considered that devoting agricultural raw materials to transport fueled deforestation and accelerated climate change. This reasoning was disputed in his dialogue with IPS by Idígoras, who was a commercial attaché for Argentina before the EU in Brussels between 2004 and 2009. “The use of biodiesel generates 70 percent savings in emissions of greenhouse gases, as international studies show, and is a fundamental tool in the fight against global warming,” he argued. Argentina, a major soy producer since the commercialisation of the first transgenic seeds from biotech giant Monsanto was authorised in the 1990s, began to develop its biodiesel industry in 2007. That year, a law to promote biofuels came into force, requiring a certain proportion to be included in petroleum-based fuels sold in the country. “Today the country has an installed capacity to produce 4.4 million tons per year of biodiesel, 70 percent of which is produced by 10 transnational corporations. “This country is the third largest producer of soybean oil biodiesel, after the United States and Brazil, but it is the leading exporter of biofuels, taking all raw materials into account,” explained Julio Calzada, director of Economic Studies at the Rosario Stock Exchange (BCR). Most of the biodiesel-producing plants are near the central city of Rosario, where soy exports are shipped out from its river port to the Atlantic Ocean. However, more than half of the national production capacity is currently idle. The domestic market consumes 1.2 million tons, due to the obligation to incorporate 10 percent of biofuel into diesel. Although the industry is pressing the government of Mauricio Macri to increase the proportion, automotive companies are lobbying in the opposite direction, arguing that it could affect the performance of the engines. The country also produces ethanol, from maize and sugarcane, but in an amount that only covers domestic use. In 2016, according to official data, it produced 815 million litres, destined almost entirely to be mixed with fuel sold in the country, which according to the 2007 law should include 12 percent biofuel. In 2016, Argentine exports of biodiesel amounted to 1.6 million tons which generated 1.175 billion dollars, according to data from the BCR. However, more than 90 percent of that was exported to the United States, which in August brought purchases to a halt when it slapped an average tariff of 57 percent on Argentine biodiesel. The reason given was that Argentina’s production of biodiesel is locally subsidised, since its exports are not taxed, unlike soybeans and soybean oil which do pay export taxes amounting to 30 and 27 percent of their value, respectively. The decision left the Argentine government in a particularly uncomfortable position, because it was adopted only a few days after U.S. Vice President Mike Pence was given a friendly reception in Buenos Aires, where he praised the economic reforms carried out by President Mauricio Macri, in power since December 2015. The Argentine Foreign Ministry rejected the U.S. decision in an Aug. 24 statement, saying that biodiesel “derives its success (in the U.S. market) from the recognised competitiveness of the soybean production chain in our country” and announced negotiations to try to reverse the Washington measure. 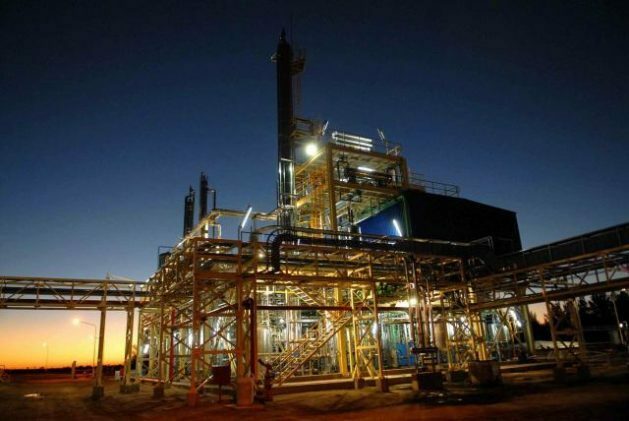 However, not only have they not been successful so far, but reportedly, in the near future the United States could raise import duties on Argentine biodiesel, due to the alleged unfair competition. The EU also accused Argentina of dumping – selling at a lower price than normal – when it imposed a 24 percent tariff on Argentine biodiesel in 2013 – a rate that had been miscalculated, according to the WTO’s March 2016 ruling, which the EU complied with last month. However, it is not only economic issues but also environmental ones that cast a shadow of uncertainty on the future of Argentine biodiesel. “Beyond the fact that using crops for fuel goes against food uses, Argentine biodiesel is not green at all,” said Hernán Giardini, coordinator of the Greenpeace Argentina Forests campaign. “The emissions avoided by the substitution of oil could be less than those generated to transport soybeans, which in Argentina is done by truck. In addition, soy accounts for more than half of all deforestation in recent years,” he told IPS. On the other hand, Jorge Hilbert, an international consultant at the National Institute of Agricultural Technology, said that the environmental criticism against Argentine biodiesel actually arise from economic and political interests. “Argentine biofuels are meeting the goals of emission reduction agreed at a global level, given the characteristics of our agricultural system,” he told IPS. “The oil used for biodiesel is a byproduct of the soybean that Argentina produces in such quantity that there is no market for it. Its use in biofuel does not compete with food use,” he argued. For Daniel Lema, an economist who specialises in agriculture, “U.S. and European producers are affected by Argentine biodiesel, and the problem is that our tax scheme gives them an argument for applying protectionist measures. “Argentina should unify its taxes on all by-products of soy in order to not lose markets,” he told IPS. Lema warned about another source of uncertainty with regard to biofuel. “Biodiesel faces another obstacle: it is more expensive than diesel derived from petroleum, and for the time being consumers have shown no signs of being willing to pay more in exchange for reducing emissions of polluting gases,” he said.